Having installed a completely new kitchen in our summer home has certainly increased my interest in cooking. During one weekend in May we indulged in several good lunches based on imported French cheese, fine charcuterie, and escargots. Here are some of the things we enjoyed during our countryside lunches. 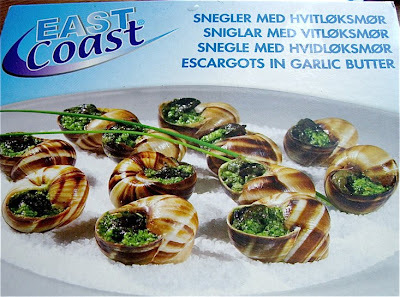 We found a packet of frozen escargots with garlic butter in the local supermarket. For those of you resisting to eat these delicious treats, I recommend you to change your mind. 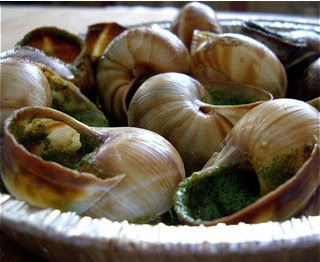 Escargots are delicious. The butter, flavoured with garlic and parsley blends with aromas and concistency close to seafood and mushrooms. A must on a country lunch, and enjoy them with a chilled dry white wine. MMMMMMMagic!!!! 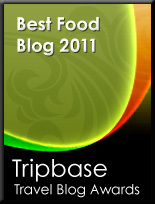 Pesto is one of the best inventions of Italian cuisine. I make my pesto from home-grown ruccola from my garden. I bought Coppa, a Neapolitan-style salami, at Magazin du Nord in Copenhagen. Beautiful pink cured pork shoulder meat marbled by white threads of fat. 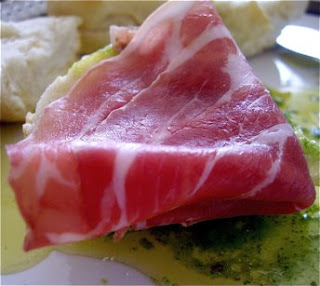 Warm ciabatta, topped with a generous amount of emerald coloured pesto, and a large slice of coppa, folded, to match the size of the pastry. What could be better? I love asparagus! Most people I know, steam or boil them, but did you know that they are easily turned into small tasty treats. 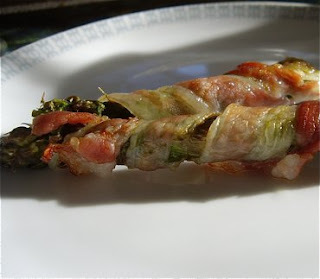 Take slices of pancetta, delicious Italian streaky bacon, and fold them around asparagus tips. Roast in the oven until crisp, and serve immediately. Delicious with a glass of chilled sparkling wine. So easy and so good as a summer treat. Take slices of good bread (I used brown spelt bread). 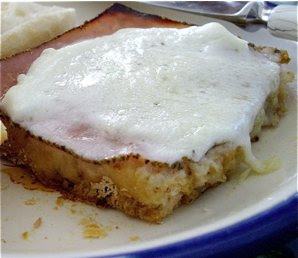 Drizzle a little olive oil on top, then a teaspoon of lovely sizzling Dijon mustard, followed by two thick slices boiled ham. 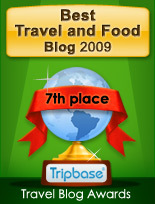 Top the toast with a thick slice of Buffala mozzarella. Bake in oven until slightly brown on top.